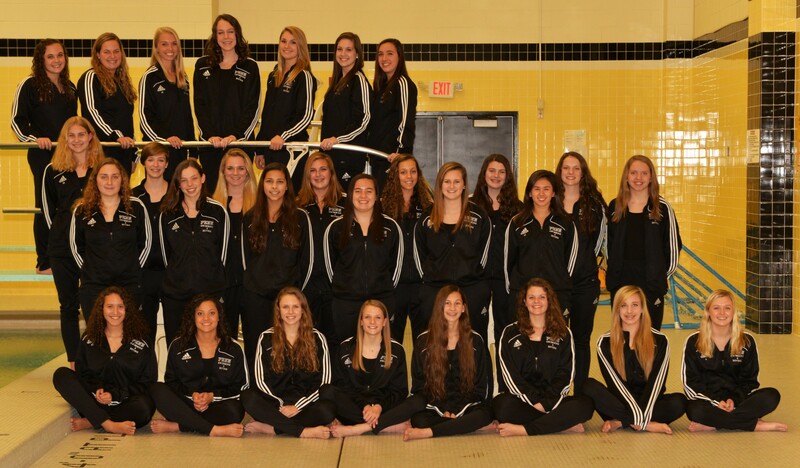 The Penn High School Girls Swimming Team is advancing to the state finals at the IUPUI Natatorium, Feb. 12-13. The Kingsmen are led by No. 1 seeded-team in the state for the 200-yard medley relay. The team features Madilyn Ziegert (9th grade), Kionna Clayton (11th), Makenna Bottorff (10th), and Leeann Cecil 12th. They won the blue ribbon in the sectional in record time of 1:44.15. Penn’s 200 freestyle relay team is No. 3 in the state seedings. Leeann Cecil, Madilyn Ziegert, Sydney Acito, and Meagan Ronci set a sectional record in that event last week. Kionna Clayton is seeded No. 4 in the 100 breaststroke. Penn qualified three swimmers for the state finals in the 200 freestyle, Kayla Molnar (No. 15 seed), Meagan Ronci (No. 17) and Leeann Cecil (No. 18). Taylor Bush is a state finalist in the 200 individual medley (No. 20), and Madilyn Ziegert is a state finalist in the 500 freestyle (No. 8). Makenna Bottorff is seeded No. 16 in the 100 butterfly, and Taylor Bush is No. 19. Leeann Cecil is No. 9 in the 100 freestyle. Meagan Ronci is No. 14 in the 500 freestyle, and Kayla Molnar is No. 18. Madilyn Ziegert qualified for the state finals in the 100 backstroke (No. 23). Penn’s 400 freestyle relay team is seeded No. 15. Meagan Ronci, Kayla Molnar, Ally Langfeldt, and Taylor Bush were sectional champions in the event last week. Penn won the South Bend Sectional for the 14th consecutive time.